Arguably, one of the finest hard hitting trios to emerge from the current American crop, San Marcos TX’ Crypt Trip delivered a killer, sophomere album this year, the aptly titled Rootstock. 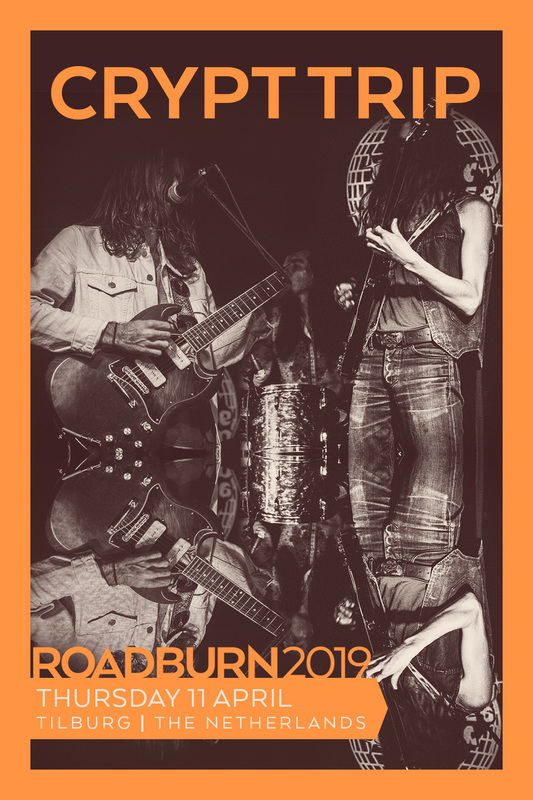 Drawing influences from their surroudings, as well as heavy 70’s pioners like James Gang, Grand Funk and Blue Cheer, these cats are injecting their proto metal leanings with a healthy dose of psychedelica, blues and classic rock. Though Crypt Trip are not exactly covering new ground, the band is offering such a righteous trip back to days when acid-tinged rock was both exciting and thriving on attitude and energy as well. And, boy, these guys have this youthful energy and attitude in abundance – they will easily transport us back to the early 70’s -and without the obligatory Sabbath worship- on Thursday, April 11 when they take to the stage at Roadburn 2019.